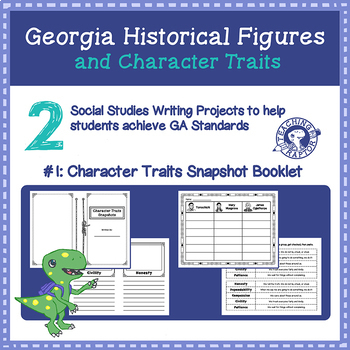 After learning about character traits of honesty, dependability, compassion, civility, and patience, students will complete a graphic organizer connecting character trait vocabulary to the three historical figures of Tomochichi, Mary Musgrove, and James Oglethorpe. Then students will be evaluating each historical figure to decide “Which historical figure best represents each character trait?” Their final product will have them illustrate and supply supportive reasoning as they write an explanation defending their choice. 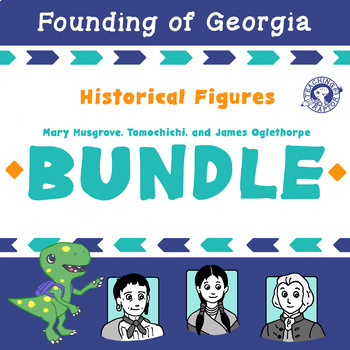 Students will be comparing their choice of two historical figures from the trio of Mary Musgrove, James Oglethorpe, and Tomochichi. With the support of graphic organizers and discussion questions, students will be able to compare and contrast both details from their lives and examples of the character traits that they exemplified. Addresses Georgia Common Core Writing Standard W 2.2: Write informative/explanatory texts in which they introduce a topic, use facts and definitions to develop points, and provide a concluding statement or section. Addresses Georgia Common Core Writing Standard W 2.8: Recall information from experiences or gather information from provided sources to answer a question.